Nowadays deep brain stimulation has come up as a rescuer for patients suffering from different conditions like Parkinson's disease, epilepsy, dystonia, obsessive compulsive disorder, dementia and many more to be named. In modern concept, it is done by implanting electrodes in the specific areas of the brain. The implanted electrodes produce the electrical impulses which are able to regulate abnormal electrical impulses produced in the medical conditions mentioned above. But as this is an unnatural way of generating the normal impulses, it can cause many harms to the brain. It can affect cells and chemicals in the brain causing serious problems. Although it is minimally invasive surgery as like other surgical procedures butit also has many risks like bleeding in the brain, lead misplacement, infection, heart problems, and stroke. Even in the worst cases, it can pose dangerous hardware complications like the erosion of lead wire producing serious complications. So even it is considered as a lifesaver for many, people hesitate to go for it due to the side effects and risk factors. However, Ayurveda has an answer for this. 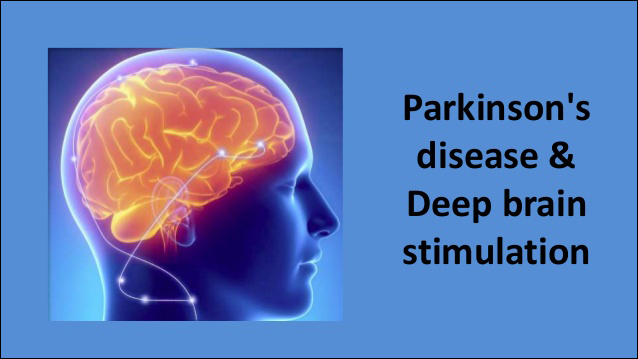 Let's take Parkinson's disease and know how Ayurveda can do deep brain stimulation by natural herbs to treat Parkinson's disease and similar situations. Meaning: When the pre-nosological state of this disease comes, it is considered as its symptoms. Symptoms do not remain same, due to imbalance of Vata there is rigidity, constriction or trembling in the body. Due to vitiation of Vayu body becomes loose and seems to be weightless. Parkinson's disease in Ayurveda is known as Kampavata. It is a neurological disorder which affects people above 65 years of age usually and is considered to be one of the most common degenerative diseases in the elderly. Due to its characterizing symptom, i.e. tremor, it is known by various names in Ayurvedic literature like Kampavata, vepathu, sirakampa, kampana and spandin. All of these names denote tremors. Nidana or cause of Parkinson's disease is illustrated in detail in Ayurvedic literature. With the growing age, apana vayu (a subtype of Vata) starts accumulating and becomes vitiated which combines with Vata and overflows into the circulation. This overflowing Vata distributes in the rasa dhatu which eventually leads to symptoms like dryness of membranes in the whole body. This vitiated Vata starts to relocate in the portions of the body which are already weak and as the brain is weak in elderly people it starts to accumulate in the brain. In brain Vata starts to damage the cells, presenting with the signs and symptoms like tremors and coordination issues. As Vata increases it causes diminishing of Kapha and also sometimes there can involvement of Pitta dosha too. People with Vata and Pitta Prakriti are more prone to develop Parkinson's disease as compared to Kapha Prakriti. Brahmi or Bacopa monnieri sharpens and strengthens the brain and its cells by protecting the brain cells and also supporting and increasing the production of the chemicals which are responsible for the memory and learning ability of a person. As we know that in Parkinson's disease dopamine, a chemical is produced which sends a signal to nerve cells. Hence Brahmi treats this condition by increasing the production of the dopamine. Ashwagandha or Withania somnifera offers long-lasting amazing effects in the brain. Researchers have found ashwagandha to be very effective in treating neurological diseases like Parkinson's and Alzheimer's disease. In ancient Ayurvedic literature, this herb is termed as medhya rasayana, i.e. a herb which provides and supports long life and improves mental capacity too. Gotu kola or Centella asiatica balances the levels of neurotransmitter in the brain. It also has anti-inflammatory effects on the whole body and also treats depression and Parkinson's disease. Gotu kola has both the action stimulating and sedating effects. Shankhpushpi or Convolvulus microphyllus is commonly known as a brain tonic and considered as the best rasayana among the other two. It promotes intellect and memory. This natural herb also helps to treat sleeplessness, high blood pressure, anxiety, and stress. These herbs work amazingly and help to stimulate the stem cells in the brain without any surgical procedure. 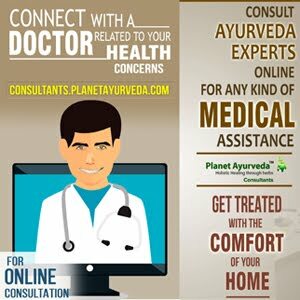 Planet Ayurveda is a renowned Ayurvedic center which offers certain herbal products manufactured from pure herbs to treat Parkinson's disease. These products are purely vegetarian and are not tested on any animal. All the products in this are free from dyes, fillers, additives, preservatives and any other type of chemicals. It has proved to treat many similar cases successfully. 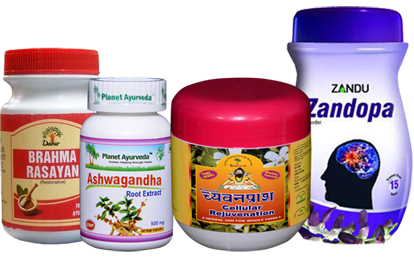 The herbal products in this pack are completely Ayurvedic and are prepared by following strict Ayurvedic principles. As its name denotes that it is herbal formulation offered by God himself to relieve human sufferings. It is full of amazing herbs that stimulates the brain like Shankhpushpi, amla, haridra, giloy etc. Brahma rasayana helps in maintaining healthy nerves and works as a tonic for them. Using it on a regular basis helps to develop and maintain good physical and mental stamina. Dosage- 1-2 teaspoonful after breakfast with milk. These capsules are prepared from standardized extract of Withania somnifera (Ashwagandha) herb which is a wonderful supplement for mental as well as physical well being. It supports mental health and also improves the functioning of the cells in the whole body. Dosage- 2 capsules two times daily after meals. This herbal Chywanprash is purely natural and is made from a blend of 48 amazing herbs like amla, brahmi etc. It supports healthy brain and helps to maintain its normal functioning. This is a nervine tonic. Dosage- 2-3 teaspoonful two times daily after meals. It is full of a natural source of L-dopa. Unlike synthetic L-dopa, it is free from side-effects and can be used in the long term. It replenishes the stores of dopamine which gets depleted in Parkinson's disease. Zandopa granules improve and relieve all the signs and symptoms of this disease. Dosage- 1 teaspoonful two times daily after meals.